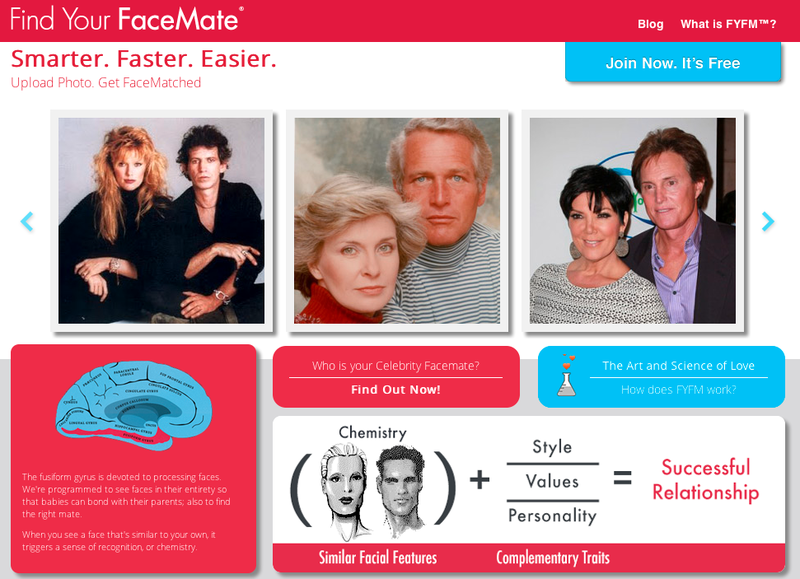 FindYourFaceMate.com is a bit of an oddball when it comes to online dating sites. We had our hopes up since the site is free so we thought it would be a great place to meet single people free. The site focuses on one main feature and that is matching singles based solely on physical and facial appearance. So basically they believe that people who have similar facial features are inherently attracted to one another, which just seems to rub me the wrong way. Ironically, most of the celebrity couple who they use as examples are no longer together, and using Bruce Jenner as an example is hilarious to me since the rumor is he now wants to be a woman. Not really the greatest argument for the whole “if people look-a-like they will be attracted to each other” as being a normal human reaction. The set-up process is short and sweet, until you get to the step where you need to upload a picture of yourself. Obviously the most important part of the profile set us is the picture, since this is the entire purpose of the site, and they are real sticklers about it apparently. I had to upload 3 photo’s before I could get one to work for their facial recognition system. This was disappointing since I’m now being judged on the 3rd picture I chose and obviously I would prefer to have the first picture work since now I’m being judged on a picture of myself that I don’t particularly like. - “Matches” take time for the website to generate which you had to wait for. They also only come in batches which is clearly a tactic by the site in place to keep you coming back since you can only get a few matches per day. - The website has a blog which users can post to, except that when I click on the tab all I see is a blank page? The website is currently trying to build a membership base, so if you sign up now your membership will be free for life. One up side to the site is that the services are completely free, of course there is a reason for that. The site only has about 50,000 members since they are trying to build what they call their “Face Base”. There might be some benefit to getting in on the ground floor, but the site launched in 2011 so you might be waiting a while still before the site blows up. The site informed me that I would need to wait before I was provided with a list of face matches since the process takes some time. I figured I would just search for some members to see what the site had to offer, but I hit a road block. I was repeatedly told I needed to change by location information in order to find singles. I tried to change everything I could but no matter what I did the site kept giving me the same error message, so this site is literally one of the worse places you could go to meet singles online since you wont actually get to meet any. So I couldn’t see one members profile when I was trying to use the site, it was of no use to me after only using it for 20 minutes. I also had to upload multiple photos before one was useable by the site. This photo would not have been my first choice so obviously it was disappointing that I had to use a photo I’m not 100% confident in since that the only real piece of criteria the site uses to match up its members. 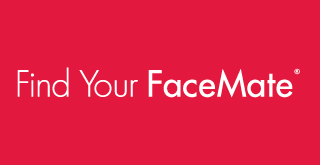 FindYourFaceMate.com seems to be nothing more than a gimmicky site that wont actually serve any purpose when it comes to finding you a date. I couldn’t actually see any members profiles after I signed up for the site so I would have to declare this site nothing more than a waste of time! A site that operates on a more simplistic level and doesn’t focus on pointless “scientific” beliefs about sub conscious human reactions would be beneficial if you’re trying to find a date or just simply get laid.